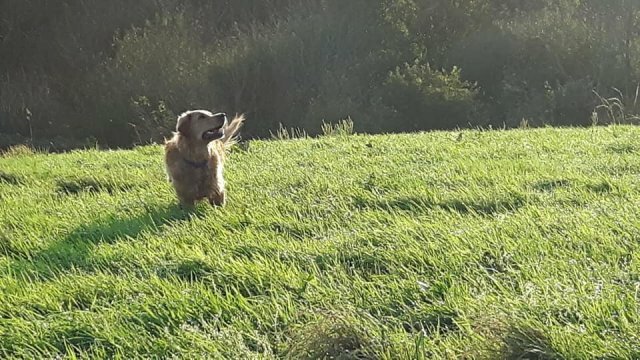 North Devon is a very dog friendly area and Robin Hill Farm is a great place for a dog to have a holiday! 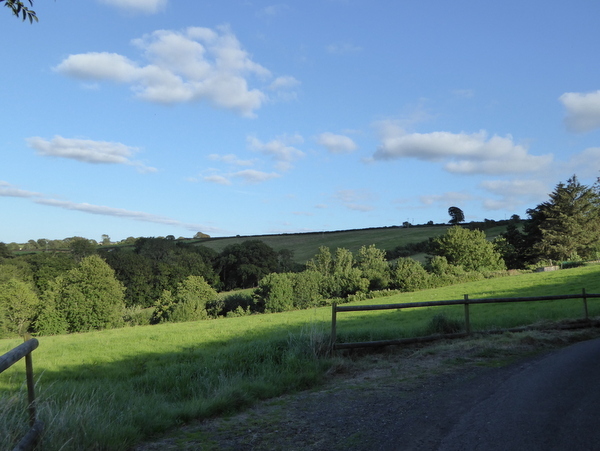 What dog would not enjoy tearing around our 14 acres of pasture and woodland which is bounded by half mile of private lane? Free from farmed animals, there are plenty of birds and wild animals to sniff out and sticks to collect. Fancy a longer morning walk right from your holiday cottage? There is a further dog friendly track to explore beyond our lane end with a ford through Jennetts River for those hounds who just love getting wet (and bridge for those who don’t!). The track leads up to the Atlantic Village which is about a 40 minute return walk, more if you pick up newspapers and essential supplies or get carried away collecting sticks. Don’t worry about muddy or sandy paws - you are welcome to a hose-down when returning back to base. 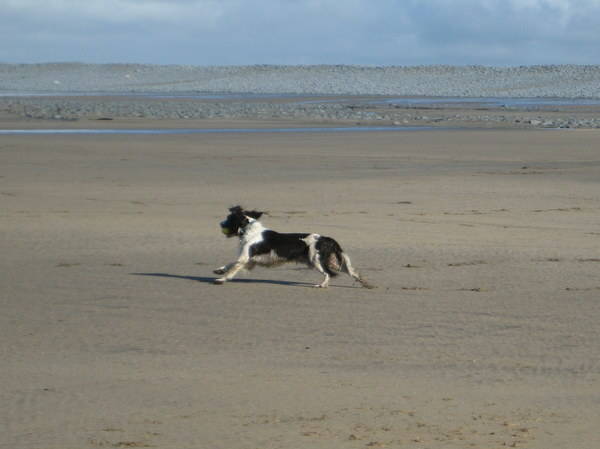 We are close to a range of dog friendly beaches - the nearest at Westward Ho! is 4 miles. Meanwhile The Tarka Trail, a car-free dog walking haunt, can be accessed 3 miles away in Bideford. Options for day walks are numerous with South West Coast Path and Exmoor nearby - we have OS maps and laminated walks for inspiration! 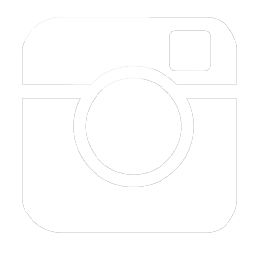 Several North Devon pubs, cafes and attractions are dog friendly and dogs are welcome guests and a major feature of the various annual North Devon agricultural shows with agility and showing classes to join in with! We have three dog friendly holiday cottages: Gull, Kingfisher and Wren. "What a lovely place to stay, surrounded by stunning places to visit. Amazing beaches, amazing walks, cute towns, The dogs loved it and have never been so exhausted - more like fit camp!" "An amazing place for a week with teenage children and dog. Running the coast path and relaxing in the hot tub. Great short walks from Gull with our puppy."